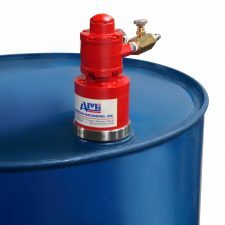 AMI’s innovative mixing in a metal IBC bulk container or 55 gallon drum. 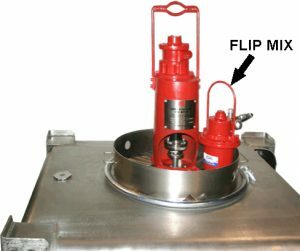 Flip Mix is designed to fit through an opening as small as 2” and reach the Tank bottom mixing product that a standard Mixer is unable to reach. 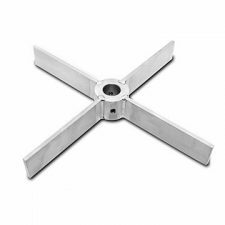 Flip Mix uses special collapsible blades that open on start-up allowing the use of mixing blades up to 13” diameter or to the size needed for your product. The motor operates with an air source and the speed is adjustable. 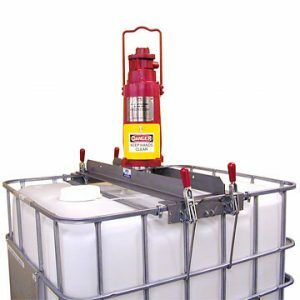 Flip Mix can be modified for use on and is compatible with most IBC’s, stainless steel tanks, metal containers, bulk containers and IBC Totes and tanks. 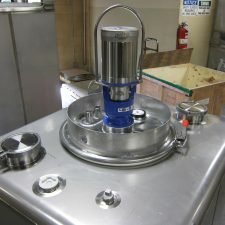 Once mixing has been completed store and clean your Flip Mixer in a special designed cleaning station. 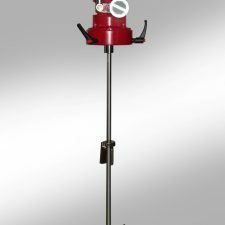 Insert the complete Flip Mixer into the stand, secure and turn on to create a rotating motion to remove product with a cleaning solution. Once clean, retain Flip Mix in the stand for a safe and clean location until on the next IBC requires mixing. 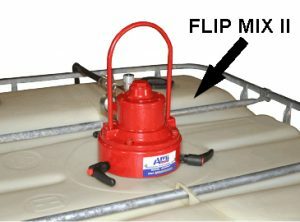 Using the same concept as Flip Mix, Flip Mix II is designed for use in a poly IBC plastic tank. Easily attached using the poly tanks existing bung on the top head and secured without damaging the thread. 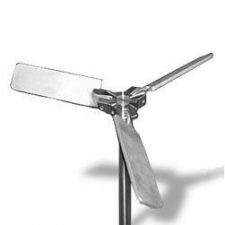 Collapsible blades are used with standard sizes or a blade designed for your product and process. 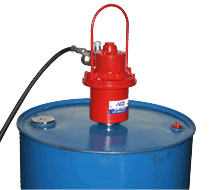 The motor is air driven and includes several options to fit the products requirements. 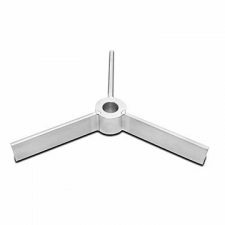 The depth of the mixing blades can be adjusted for many applications. AMI offers additional options when product requires additional torque/horse power and safety. Using a heavy duty frame held with large adjustable clamps the mixer is secured to the poly bin metal frame. There are several motor options and a gearbox is included as a standard feature. Shaft and blades are custom sized for the product and application. 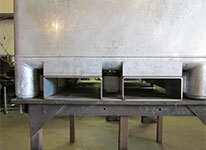 The mixer can be moved and used on most size and constructed IBC poly caged bins and Totes . AMI offers the most popular, heavy Duty Modular Poly Bin Mixing assembly in the market today. 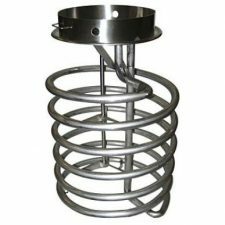 This unit utilizes 1/4″ thick stainless steel framing, large adjustable clamps and AMI’s dual bearing housing. 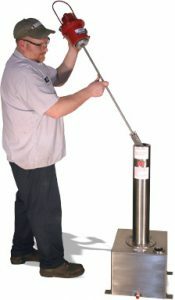 The mixing blades are collapsible for insertion through the bung opening and then extend out as the drive unit starts. Standard AMI drive units are used. Some options include direct drive motors and dust covers. Description: 304 Stainless steel angle construction. Heavy duty J-hooks for attachment. 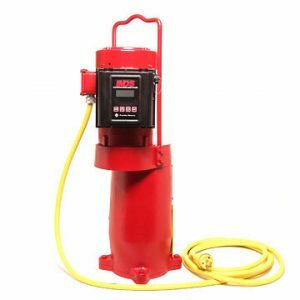 Includes AMI 113258 dual bearing hex drive and 1” diameter shaft. 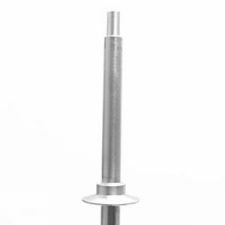 Shaft extends approximately 28” below frame. Matte finish. Does not include impeller. 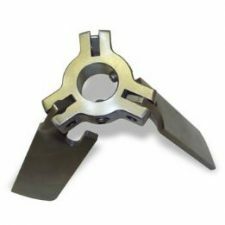 See folding blade impellers. A quick-connect unit that powers most agitators. When designing the Adaptable Mixer Drive Motors, AMI’s engineers paid particular attention to the ergonomics and mechanics of attaching it to any product kitchen’s portable agitator. The design brings together three AMI innovations: its Universal Chuck, Auto Lock attachment, and Twist Lock base. The result is a quick and easy, two-motion connection to the tank cover. Using the ergonomic handle, an operator sets the Twist Lock base on the cover’s standard lugs and twists the drive unit a 1/16 of a turn to lock it in place. There is no fumbling or straining with cumbersome handholds or eye bolts.